Best Waco Tree SErviceS Co. Need Your Trees Trimmed or Removed? Let Our Top Notch Texas Tree Company Trim, Grind, or Remove those Unruly Trees or Stump! ﻿​Looking for a Tree Cutting Service in Waco? Look no further, we have been serving the Greater Waco Texas and surrounding areas for over 15 years. Best Waco Tree Service is a company that's insured, licensed, and experienced. In other words, we know Trees! No Matter what you need, Best Waco Tree Service Company is there. We offer everything from Tree Trimming and Pruning to 24 Hour Emergency Storm Clean Up! Use our Free Phone Tree Service to get a Free Tree Estimate! Did we mention it's FREE! The bottom line is that we know that trees are not going away anytime soon (unless you believe the current rhetoric of the climate 'alarmists' in Washington), and our main drive is to develop as many lifelong Waco locals into lifelong customers as we can. And if at anytime you are unhappy with our service we give you permission to totally rip us on Yelp, Facebook, Twitter, Craigslist, Angie's List, or any other list you want. (Just don't call us ugly cause them's fightin' words). When you think of the type of tree service company Waco really needs you want one that provides good service (plus our looks are just icing on the cake). Maybe you have a tree whose branches look like they are getting ready to do some Damage to your Roof? Before you can say Homeowners Insurance Claim, we'll be out to you house, give you an honest on the spot estimate, and do your tree trimming right! Seriously, roof repairs are expensive especially when they lead to water damage. Better to do your tree cutting now! Let our Central Texas Tree Care team take care of it for you so you don't have to worry. Or maybe you just want to look good for your neighbors. (No we aren't as obsessed with looks as we are with providing the kind of quality tree service Waco deserves.) It always feels good to one up your neighbors every now and then doesn't it? We won't tell anyone if you don't. 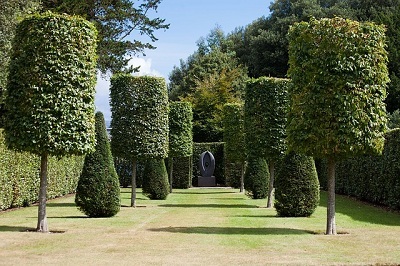 Let us Prune and Hedge your Shrubs, trim your trees, and make your bushes look nice. Click HERE and we'll have a professional tree cutter out to your home asap. It's the little things that you do that make your Home a Home! Sure you could do it yourself but 'Ain't Nobody Got Time for That' nowadays. 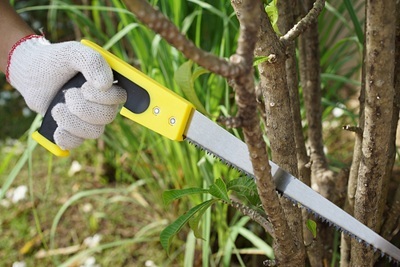 Let us keep on top of your Shrub Maintenance and Tree Trimming for you so you can enjoy every little peace of mind you can get! Need Cleanup after a Storm? Hey y'all...we're in Texas and everyone knows we like to do things Bigger and Better down here. Unfortunately so does Mother Nature (unless big storms really are our fault. I knew that darn CO2 was gonna get the best of us one day, oh well). Trees and branches that have been damaged, broken, and bent can be a big pain and cause a significant amount of damage not to mention injury. In fact sometimes the branches are bigger and heavier than you realize and before you go blowing out your back and start screaming that you've fallen and can't get up, you probably should consider using a Professional Texas Tree Service Company to safely clean up your lot and not some fly by night service. Don't worry, we can't move the big stuff all alone either. We use coordinated Emergency Storm Cleanup crews and equipment so the job gets done fast and safe, (that's also how we stay so pretty). 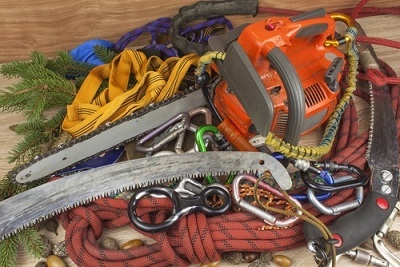 ​Let our Professional Central Texas Tree Removal Team take care of it for you! Even if you've had a massive storm uproot one of those Great Oaks that's been here since before the Alamo...we've got that covered too. We'll cut it up, mulch it, and haul off all the branches, roots and and we won't charge you an arm and a leg for the Debris Hauling. If it weren't for the lasting smile on your face and the warm feeling in your chest, you wouldn't even have known we were there! We will give you the most competitive Tree Service Estimate...on the spot! Not only does Best Waco Tree Service clean up large fallen trees, but we remove large stumps and grind stumps as well. We use top of the line stump grinders. If you've ever had the experience of running over that one stump in the middle of your yard with your John Deere you know that stumps can be a big pain. Even when they are small. If you have a stump than you have a Stump Removal need. Ever try using a stump grinder yourself? Well we don't recommend it unless you have the right experience. Removing small stumps can be difficult enough, and no matter what the size of the stump you've got to have the right equipment. Usually that means using a stump grinder. A good stump grinder can range in size from a hand pushed lawnmower up to the size of a large truck. ​Our Professional Stump Removal Specialists are qualified to handle it all. Stump removal and stump grinding costs will varying depending on a variety of factors (such as the diameter of the stump, the age of the stump, soil conditions, etc.) so no matter what you are going to want to use experienced crews and that's exactly what we have with Best Waco Tree Services. Looking for someone who is also good at grinding trees? Grinding a tree is also definitely one of those things that you need the right tree grinder and the right tree grinding operator to use it. We hate to beat a dead bush (pun intended) but let the professionals handle it. Our site crew supervisors are licensed ISA Arborists and they will be the first to tell you that most oak trees are so strong that they are able to hold a Volkswagen bus in their branches. Even more so if they are dead. Now imagine that you have one of these on your lot and it's sort of leaning towards, your house within striking distance. Heck, maybe it's even right next to your house. Guess what, even those these are some of the most sturdy trees you will ever come across you are going to need to cable and brace some of those bigger branches. This is something that every Waco tree service company should do, but not all do. Most companies are only known for being a cutting company only. Certainly not the type of company you want when you need a tree cabled properly. ​Tree emergencies are no joke. Many of the branches on Oak trees are in fact large trees themselves and due to the density of the rest of the oak tree, these larger branches can break during a large windstorm. They frequently take out cars, roofs, and living rooms! Counterbalancing these bigger limbs through bracing is essential. Of course it takes experienced professional tree care experts. Don't even think about DIY! Call the Best tree service near you! ​Let our Licensed Tree Care Experts handle it. Besides...how much do you really know about Precision Tree Support? Probably about as much as we know about providing shoddy service...nada! Waco Texas is somewhat of a booming real estate market at the moment and that means that there is a huge demand for investors who need new land sites cleared, cleaned, and prepped for construction (I blame that show on HGTV 'Fixer Upper' for all the new people moving here). Our crews at Best Waco Tree Service can clean a lot with the best of them. Heck, even if you are some type of savvy 'house flipper', we can still help you clear out those old diseased trees, remove the dead and dying branches and haul off all of the debris so you can clean up your lot to your liking. We are a whole lot more than just a cutting company. Our tree services are second to none. We provide low cost land clearing services that are fast, efficient, and reliable. We pride ourselves on giving the most competitive rates along with the most exemplary service. 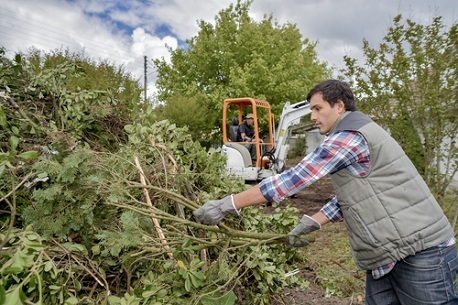 We use the best equipment so that no time is wasted in the clearing process. The bottom line is that we ain't called the Best Waco Tree Service for no reason. If you have trees then you might as well have a local Waco Tree Service Company like ours handle it. Call us and we're sure we'll be tree partners for life! Best Waco Tree Service did a great job pruning my bushes. They were fast and did a clean job! My neighbor recommended them and I wasn't disappointed. Saved money on what I thought would be a very expensive tree removal. We needed to have one of our lots cleared. It was a big job and Best Waco Tree Service did a fantastic job at a good price. Will definitely use them again. Best Waco Tree Services Company - Service is Guaranteed! If we happen to be in our underwear walking around the kitchen looking for a midnight snack and don't answer the phone we will call you back as soon as possible. We may or may not change out of our underwear. That's up to us and how we're feeling at the time. Also, ask us about our Referral Discounts. We believe in giving back to those who give us. Let's face it some Tree Jobs are pretty big and can put quite a dent in your pocketbook. If you have a friend or family member that you think could use our services we are willing to work with you to make sure your Tree Problems go away. Most people don't view their trees as being assets but they are. They add value to your property and it's in your best interest to maintain them. Trees are living beings just like people and just like people, they can get sick. Unfortunately trees can't tell you they don't feel good. They can go long periods without the right nutrients, water, sunlight, and that can lead to an increased risk of carrying parasites and disease. A diseased tree near your house is not something you want to ignore as its structure might be compromised and runs the risk of failing at any given moment. We recommend that you schedule an inspection with our knowledgeable tree experts to come out once every couple years to do a tree wellness check. Usually, if you are keeping up with regular pruning, your trees should stay nice and strong even in long period droughts. If you live in Waco or one of the surrounding areas, and you have gone some time without trimming or pruning your trees, give us a call and schedule a time so one of our local Waco tree service crews can come out and help keep your property nice and healthy. In our latest article we cover some of the things that you need to know in order to make a good decision regarding who you select should you need to have a tree removed from your property. There are some specific questions you need to ask any company that you are considering to use who says they offer removal services. What type of equipment do they have access to and how is this going to not only affect the quality of work that they do but also how is this going to affect the price that they are going to charge you. You might be surprised by what you find out. Also we share a dirty little secret that most Waco tree companies don't want you to know. Yes we know that sound cliche and sensationalist but knowing this little secret can also save you big when it comes to having a tree removed. Trust us you are going to want to know this...You can READ MORE about it here. 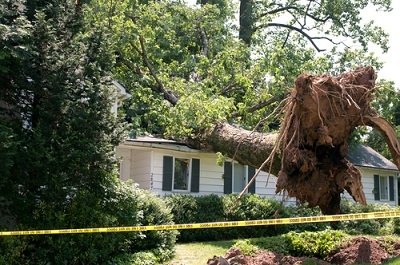 Our latest article covers the reasoning behind why you should always have the branches and trees that have been damaged in a storm cleared from your property as soon as possible. Call us and our tree branch removal service crew will be out to your home before you can say...holy cow a branch just caved in the roof of my brand new Chevy Traverse. Trust us it's way better to spend the money to remove any trees, branches, or debris that can destroy your property. You can READ MORE here in our latest article. And make sure to keep safe. At the time of this writing there are a lot of floods happening and a lot of storm damage taking place. Good luck.